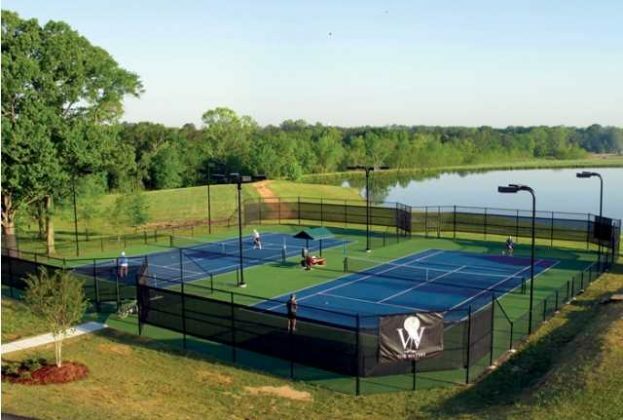 Our first-class lighted tennis facility provides a perfect venue for the beginner or the seasoned professional. Our five tennis courts and two pickleball courts feature a Plexicushion surface, designed to provide players with the highest levels of surface performance and cushioning. Courtside seating allows for a great view of the court and Lake Sweet T, one of our community lakes. The community tennis association offers matches for all ages and organized tennis tournaments for the more experienced player. On the court and off the court, you are guaranteed to make friends through tennis. 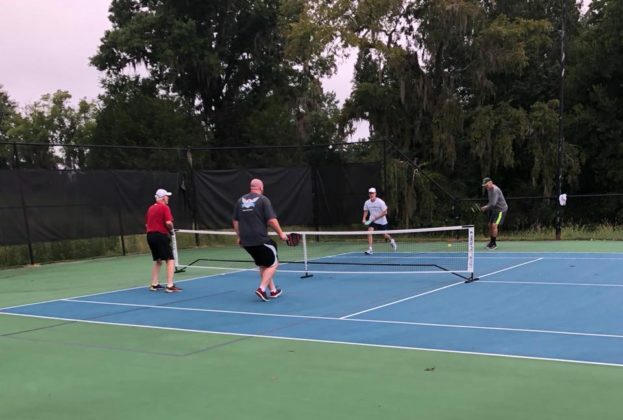 Tennis at The Waters encourages fitness, interaction, communication and a day of fun. Access to the tennis complex is easy via Avenue of The Waters or via the golf cart trail that surrounds the lake. Also, just a short stroll away from our tennis courts is the sport-court. Practice your dribble or bank-shot at The Waters Sport Court, a full-size regulation basketball court with two basketball goals – with one of the goals lowered for children. Located next to the Tennis Complex, the Sport Court is the perfect place for a little friendly neighborhood basketball competition. The sport court’s location, adjacent to Lake Sweet T, allows for great views of the lake and lakeside homes. 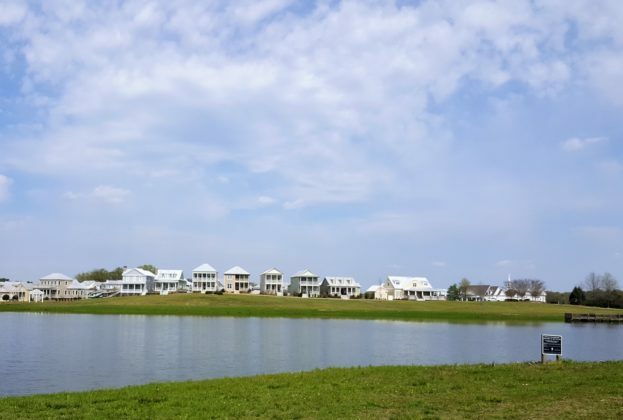 Access to the Sport Court is easy via Avenue of The Waters or via the golf cart trail that surrounds the lake. The trail is a well known spot for bird watching and bank fishing.